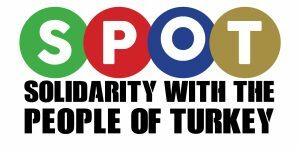 We, the members of Solidarity with People of Turkey (Spot) group are concerned about the developments in Turkey in recent years. 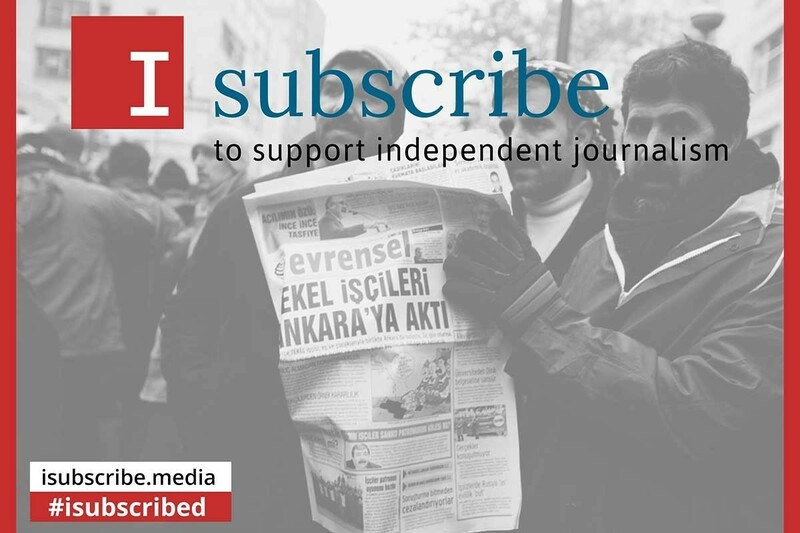 There have been many promises made to democratise the Republic of Turkey since its formation by people in power. Instead numerous military coups and massacres have taken place. Many democratic demands including better working rights for employees have been suppressed under the republic. The Turkish state followed an aggressive political path which has caused the suffering and denial of the Kurdish people, political denial and discrimination of Alevi’s and massacred those who opposed it. In particular, in response to the Kurdish people’s demands for freedom, the state pursued a long aggressive war against the Kurds. This resulted in the deaths of many thousands of people. Clandestine and other groups were (and continue to be) supported by the state against workers and innocent people. During this period thousands of missing people and unresolved murders became the norm. For a short period Turkey was hailed as the beacon of democracy in the Middle East, however the reality of living under an oppressive regime, deprived of socio-economic and political freedoms had been brewing for a long time. The hard earned right of workers to organise and promote their rights through union membership is being suppressed through brutal force and misuse of judicial and police powers. This same treatment can be observed not just against workers but in the discrimination and brutal treatment of environmental activities, faith groups, LGBT groups, women’s rights groups and other minorities seeking their democratic rights. Today it is impossible to exercise ones democratic right to protest in Turkey without being attacked by the police. Thousands of people have been put in prisons without evidence or cause, and Turkey still tops the list of countries for jailing the most journalists. As we reached the year 2000 political denials, pressures on society and wars have been widespread in Turkey. The AKP government gained large support from the people by promising “clean politics” during this time. As a result it was able to form a single party government after it won a three consecutive general elections. However in the last eleven years political pressures on society, anti-democratic practices have been intensifying. In just one night the government introduced a new law, sacked three hundred Turkish Airlines workers and replaced them with new workers. The government has closely worked with owners of capital and pro-government supporters to protect the interests of its allies at the expense of its citizens. Recent exposures of state corruption in Turkey have also been making the headlines both at home and internationally. Unsurprisingly, tendering processes for major state contracts were found to be corrupt. We are currently witnessing the worse corruption cases in the history of the country and the role of bankers and ministers as active participants of this corruption has been gradually exposed in recent months. Four ministers have been forced to resign yet the real culprit, the prime minister of Turkey, is still in power and persists in his aggression. In the run up to the watershed of government corruption, the Government was increasingly intervening in people’s right to individual freedom and choice. The government interventions may seem hard to believe but they include, banning mixed gender student accommodation, prescribing the number of children women should have, prohibiting the sale of alcohol near mosques and making numerous remarks and judgments on women’s modesty. Istanbul is the biggest cosmopolitan area in Turkey, attracting a diverse range people from all walks of life. The political pressures felt all over the country were also felt in Istanbul and the increasing dissent against government was already at tipping point when in the summer of 2013, government officials gave the thumbs up to build a shopping mall on top of Gezi Park in Istanbul one of the very few green spaces left in the heavily built up city. The government was adamant it would go ahead with the demolition of the park and in doing so attacked peaceful protestors with water cannons and plastic bullets, culminating in the killing of five people by the police forces. The strong feeling amongst protestors in Istanbul was supported by citizens across the country and brought together political and social groups that had never before stood in solidarity. Regular people poured out onto the streets to demonstrate against the State’s failure to listen to the frustration of its citizens, in this case the spark happened to be the attack on the last remaining green spaces within Istanbul. There were uprisings across many parts of the country, people came out in their hundred thousands with a common slogan surfacing: “Enough”. There was strong support for the uprising in Turkey by many countries within Europe and other parts of the world. As new developments like the corruption and oppression witnessed recently in Turkey surface, we have sought to inform and support the struggle of the people of Turkey and have formed the group Solidarity with People of Turkey (SPOT). The group aims not only to support the struggle of the people of Turkey but also contribute to the working people’s struggle in the UK by forming a bridge between Turkish speaking communities living in the UK and the local work force in the country. This will be done by sharing experience and informing both parties of recent developments. We would like to thank the trade unions and representatives for working with us and strengthen the solidarity between both parties.